I am always on the lookout for affordable and personal art ideas for clients’ homes. Today, I’m offering a subject for art that may also help you up-cycle some items in your home. Do I get bonus points if my ideas help you downsize potential clutter and inspire something meaningful and pretty? Let me know! We’re talking about maps. 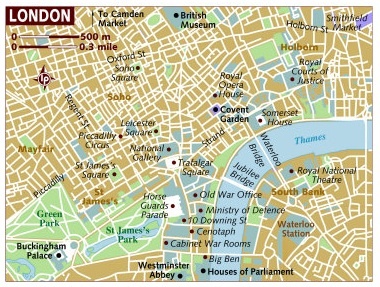 Remember maps? No, not the ones you get driving directions from on a website. I mean those big pieces of paper that took forever to fold back up the way you found them. If you still have some old maps lying around the house (or hibernating indefinitely in your car), you may have some art just waiting to be framed. Image courtesy of me...I love it when the weather cooperates in my photos! 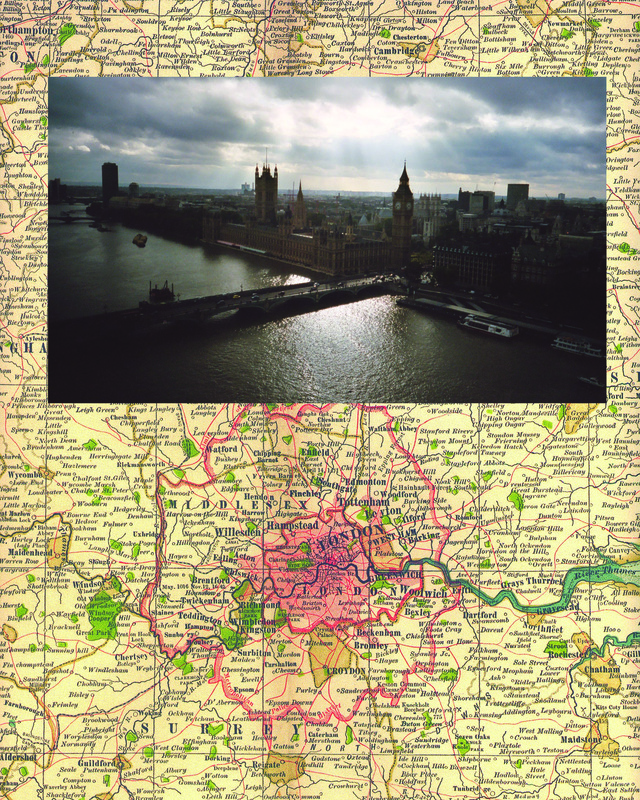 See how the map kind of personalizes the photo and makes both images stand out? 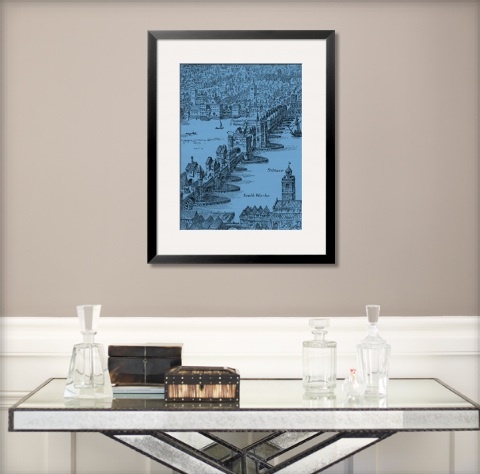 You could do a whole wall of your favorite place for very little money using my budget-friendly art mounting technique. 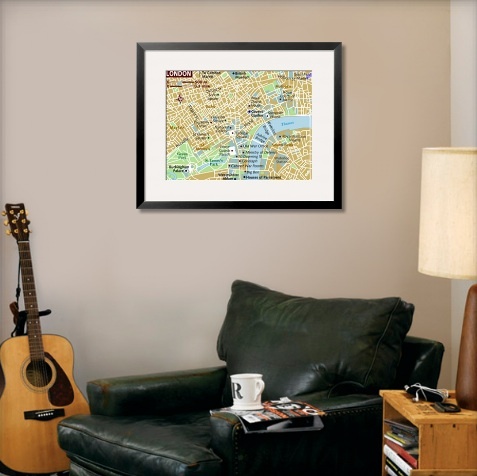 You’d be finding a use of for your old maps and personalizing your home. Less clutter and more personality is always a happy combo in my book! While we’re talking about maps, let’s take a look at some of the other varieties out there for some inspiration. We all know what driving maps look like, but there are other options to fit lots of different decor tastes. We’re gonna stay with London as our example, so we can compare the different styles easily. Isn’t that great? It’s not too masculine or feminine and I love the color palette. See how bold and clean the graphic feels? This map of the famous London Underground subway system or “tube” actually dates its origins back to the early 20th century, but it feels very modern in this room. Did you notice where this map comes from? That’s right. You could copy print it on photo paper for FREE. 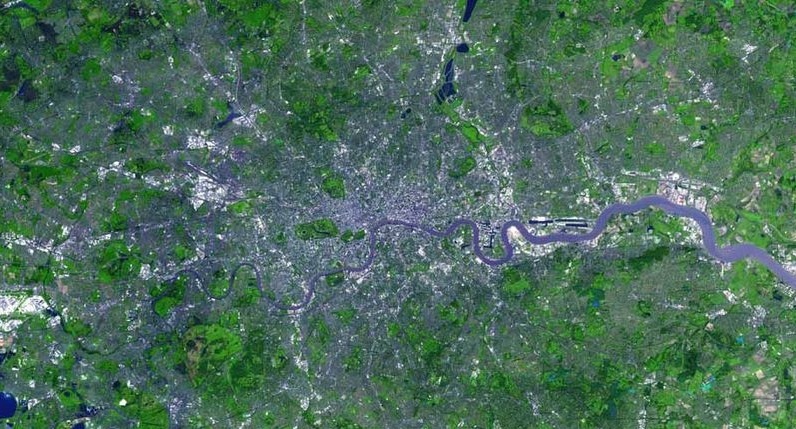 Finally, a reason to justify all that time you’ve spent playing on Google Earth! 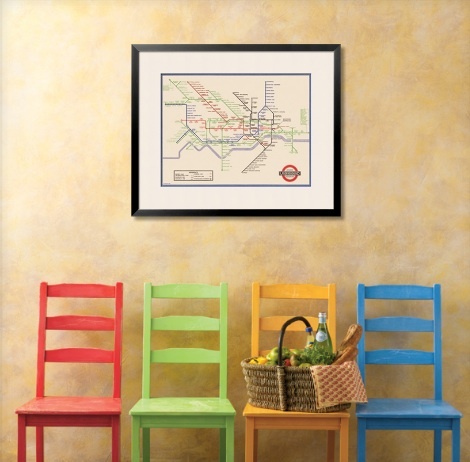 Just pick your favorite place, print and frame. It would look great mixed in on a gallery wall with of photos from the same location. And while we’re talking about hanging maps up in your home, let me give you two more tips for really personalizing your maps. 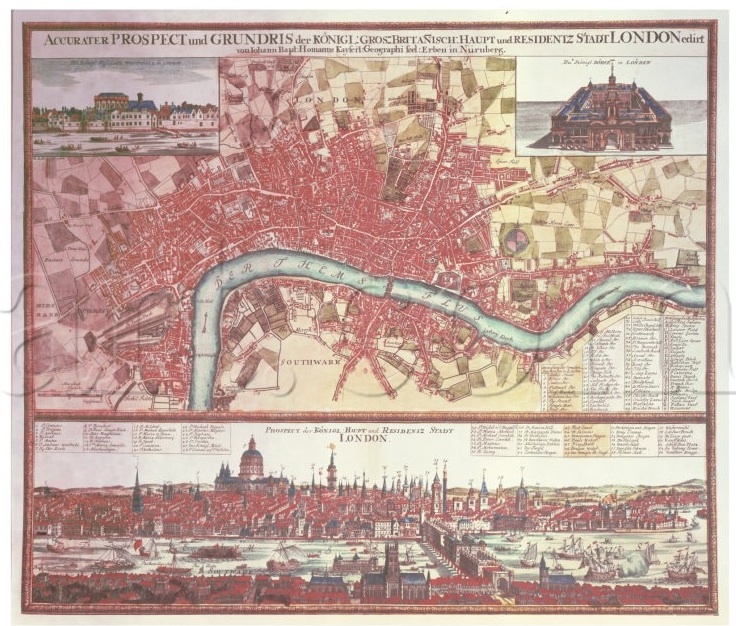 …maps are a great way to give a room a collected-over-time feel to it. The modern glass table and sleek crystal are balanced by the assorted antique boxes and the old map engraving. Mixing modern and old always gives any room a relaxed, welcoming vibe. 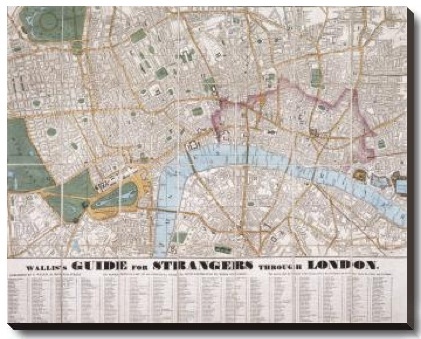 This “Guide for Strangers” map (love that title!) is from the middle of the 19th century. However, because it is printed on canvas with a modern black edge, it feels much more contemporary. 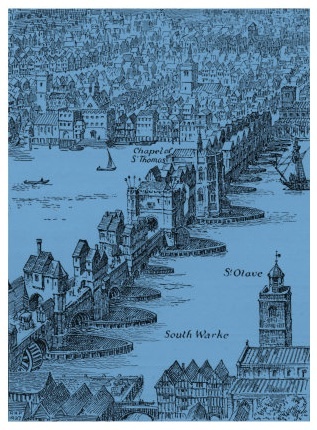 Similarly, this map dates back to 1720. 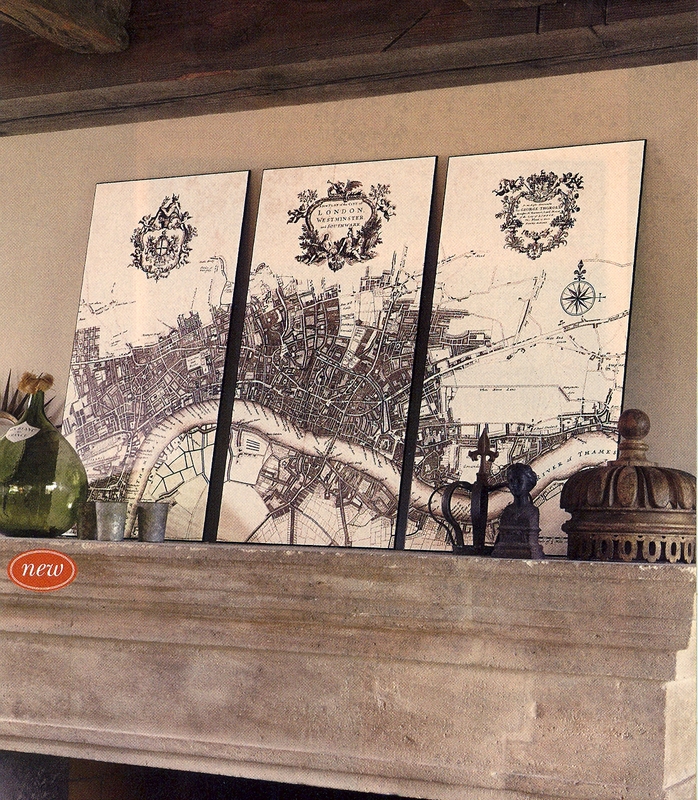 However, because it is mounted on wood, it can be displayed as a modern triptych in any home. Like these ideas and want to see more uses for maps? I have a handy little DIY technique coming very soon that shows another great way to decorate with your old maps. Be sure to check back! 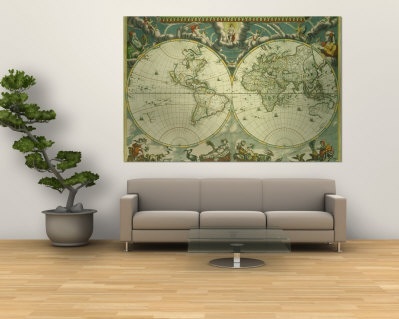 And while you’re here today, leave a comment and tell me what place you could celebrate in your home with some map art? When did you go there? What was the occasion? If you gathered all of your old driving maps together, would they stack much taller than you expected (like ours did)? By the way, if you missed the giveaway announcement last week you can see it right here. The Crate and Barrel produce bags included in the giveaway could help you bring home some great veggies for Mexican night in your home. (Go ahead and fill one with avocados, I don’t mind!) Today is the last day you can enter to win! Someone has to win. Why not you? Posted on September 19, 2011, in Decor, DIY. Bookmark the permalink. 1 Comment. I love your use of maps as art! I think it’s a great idea. I’m sure I could paper a whole room in my old maps. I’d love to pick a few and really showcase them.